The Managing AF Risk Factors Panel at the 2015 Get in Rhythm. Stay in Rhythm.TM Atrial Fibrillation Patient Conference included presentations by David J. Wilber, MD, FHRS, Chair; Susan Redline, MD, MPH; and Mark S. Link, MD, FHRS. What can be done to get young athletes diagnosed before incidents happen while they’re competing and not showing any symptoms? Relationship between esophageal/gastric irritation and afib and is there a risk of infection? How much exercise can you do safely while in flutter? Why is long-time afib irreversible? What is the role of a pacemaker in the control of afib? Video watching time is approximately 93 minutes. Click below to watch the video. Dr. Wilber is the George M. Eisenberg Professor of Cardiovascular Sciences, Loyola University Chicago Stritch School of Medicine. He has been the Director of the Division of Cardiology and the Cardiovascular Institute at Loyola University Medical Center since 2001. Dr. Wilber is a graduate of Northwestern University Medical School, and completed his medical residency at Northwestern University Medical Center. Dr. Wilber went on to complete a fellowship in Cardiovascular Disease at the University of Michigan and a fellowship in Clinical Cardiac Electrophysiology at the Massachusetts General Hospital. As Director of Clinical Electrophysiology, Dr. Wilber remains an active clinician with focused interests in atrial fibrillation, ventricular tachycardia and sudden death prevention. He has been named annually to Top Doctors in Chicago and the US since 2001. Dr. Wilber is the author or coauthor of more than 500 original articles, book chapters and abstracts, and has served on the steering committee and executive committee for several multicenter clinical trials. Dr. Redline is the Peter Farrell Professor of Sleep Medicine at Harvard Medical School. She directs Programs in Sleep and Cardiovascular Medicine and Sleep Medicine Epidemiology at Brigham and Women's Hospital and Beth Israel Deaconess Medical Center. Dr. Redline’s research includes epidemiological studies and clinical trials designed to 1) elucidate the etiologies of sleep disorders, including the role of genetic and early life developmental factors, and 2) understand the cardiovascular and other health outcomes of sleep disorders and the role of sleep interventions in improving health. She leads the Sleep Reading Center for a number of major NIH multicenter studies and has led several large cohort studies and multicenter clinical trials. Dr. Redline co-directs the National Sleep Research Resource and the Sleep Apnea Patient Centered Outcomes Research Network. She has published over 320 peer reviewed articles and has served as Deputy Editor for the journal Sleep and as Associate Editor for the American Journal of Respiratory and Critical Care Medicine. She received BS and MD degrees from Boston University; a MPH degree from Harvard School of Public Health; completed internal medicine and pulmonary and critical care medicine training at Case Western Reserve University; and a research fellowship in Respiratory Epidemiology at Harvard Medical School. Dr. Link is a Professor of Medicine at Tufts University School of Medicine. He is director of the Center for the Evaluation of Athletes and the Heart Station. He is co-director of the Cardiac Electrophysiology Laboratory and the Hypertrophic Cardiomyopathy Center. His research interests are in arrhythmias, including atrial fibrillation and sudden cardiac death in athletes. He developed an experimental model of commotio cordis, sudden cardiac death with ball impact to the chest. He is on multiple American Heart Association and American College of Cardiology Guidelines Writing Committees, included Advanced Cardiac Life Support, Eligibility and Disqualification Recommendations for Competitive Athletes With Cardiovascular Abnormalities, and Hypertrophic Cardiomyopathy. He is an active clinician and one of his primary focuses is the care of patients with atrial fibrillation. Dr. Wilber: Well thank you. This is really, I think, a topic that I look forward to talking to people about and I think more and more it's assuming increasing importance in how we take care of patients. We're going to try to do a broad overview. We're going to focus specifically on diabetes, sleep apnea and exercise as potential risk factors and how they can be modified in our care of patients with atrial fibrillation, but we’ll try to give your broad overview of some of the other topics as well. So although I'm going to mostly talk about obesity today and atrial fibrillation, we'll talk about a couple of other things as well. There are a variety of risk factors for atrial fibrillation and this was initially, I think, mostly of interest to epidemiologists, people who study how disease, what the prevalence of it is, and how it comes to pass. [00:01:00] I think now we've really begun to understand that central role, not only in sort of understanding the disease but really in treating it, and if we don't consider these as we treat patients then I think our outcomes are not nearly as good as they might be otherwise. This is the traditional list and I think there are probably even a few more. I've starred a few of them where I think that the evidence now is becoming very clear that these are potentially modifiable and that's really what I want you to take home today. These aren't static risk factors that cause something and then there's nothing you can do about it but treat the consequences, but in fact by intervening, both early and late, you have a chance to modify the disease and improve outcomes. [00:02:00] What that means for you as patients is that you have to participate in your care and that's really something I want to emphasize; and if you're not invited to do so, then you must insist on doing it. Because I think your outcomes for atrial fibrillation really depend on how you address each of these risk factors as they apply to you individually. Just to briefly talk about hypertension; we won't spend a lot of time. It's certainly important; it's one of the most common risk factors associated with atrial fibrillation. Somewhere between 60% and 80% of patients who have atrial fibrillation in large populations studies have at least hypertension as a risk factor, and by itself may account for the 20% to 25% of the overall risk of new onset atrial fibrillation. There's some evidence that systolic blood pressure probably plays a more important role than diastolic blood pressure, but there's no clear threshold value. When you look in large population studies, each increment in systolic blood pressure is associated with the increasing risk of atrial fibrillation. [00:03:00] There's no sort of magic number necessarily that if you get below, your risk of atrial fibrillation goes away. It's probably reasonable and what I like to use as a therapeutic target is somewhere around below 130/80. What that means is that that's even below the sort of traditional guidelines for treatment of hypertension, but it's very clear that even mild elevations of blood pressure within the range of what we would call normal can still confer afib risk. There's no clear superiority of one drug over another although the control of atrial fibrillation certainly can improve the symptoms and the frequency with which you have atrial fibrillation. It's not clear that any single drug is absolutely better. There’s some evidence that ACE inhibitors and ARBs, which are drugs that many of you may be on to treat your hypertension, may be particularly beneficial, particularly when you have relatively advanced hypertension with end organ involvement like thickening of the heart muscle, the left ventricular hypertrophy, as we call it. [00:04:00] But there's also evidence that uncontrolled hypertension as you start antiarrhythmic drug treatment and after catheter ablation, if you enter into that with poorly controlled blood pressure, in fact, you have much poorer outcomes than if your blood pressure is controlled. So that's all I have to say about this for right now. And moving on, and just briefly again talking about diabetes, it's again become clear from large population studies that if you have diabetes, you have about a 40% increased risk of atrial fibrillation, developing it, than if you don't. And this is independent of all the other traditional risk factors that you saw on the first slide. And this is just a case-control study that makes it very clear that that's something that takes time. All of these risk factors are present for a long time and it's over that time that something's happening and we'll talk about what that something is. [00:05:00] It doesn't happen right away and you can see in this case the differences aren't manifest for more than five years, that you start to see the increase risk of atrial fibrillation after diabetes. But it's also clearly related to blood glucose control. On the right half, you can see that and what you see are less than seven to eight. Those are the mean hemoglobin A1C levels over the course of follow-up and in this particular case, follow-up was over 20 years. And you see that the risk as your glucose control was poorer and poorer, you are much more likely to develop atrial fibrillation. Again this is a potentially modifiable risk factor, so even once you have atrial fibrillation, control of your blood sugar may contribute to improved outcomes. Through the example of obesity you're going to see a bit more about how that may occur. [00:06:00] This is when we get to obesity. You can see that again there's about a 50% increased risk with obesity and that's defined as a body mass index. For those of you who don't know what that term is, that's just weight adjusted for height, so that we can compare expected weights for a different range of heights. When that body mass index is greater than 25, that's overweight, and if it's greater than 30, that's considered obese, and so we'll be using that terminology throughout this talk. When you have that, as you can see, you're much more likely to develop atrial fibrillation. And again, over time, these differences don't happen all of a sudden, but they become manifest over a relatively slow period of time. Something has to be going on in the heart that is increasing that risk for atrial fibrillation. And again, this is independent of all that long list of risk factors that you saw before. [00:07:00] This is just putting more of these large population studies together and again, several of these now, which involved about 70,000 patients, same sort of magnitude of risk – about a 50% increased risk if you're considered obese. And in fact, it's not just the new onset of atrial fibrillation, but you know that for those of you who may have atrial fibrillation, that that transition from intermittent episodes, what we call paroxysmal atrial fibrillation, to where the atrial fibrillation is there all the time, or persistent atrial fibrillation, that's an important landmark in the disease. Because as you develop atrial fibrillation all of the time, some of the morbidity and mortality risk increases and it becomes much harder to treat and much harder to restore sinus rhythm. So that's another important endpoint. [00:08:00] We know that for obesity, that also increases your risk of that transition from intermittent atrial fibrillation to permanent atrial fibrillation. Again, the figure on the right bottom simply says that this is independent of atrial size and all of those other things. Obesity both puts you at risk of a first episode of atrial fibrillation and then for progressing, if you will, in the clinical disease, to having atrial fibrillation all of the time. So there's a very interesting study released a couple of years ago, The Women's Health Study, which again just confirmed this same sort of risk in a very large population of women that didn't have afib at baseline but noticed a couple of really interesting things, which was that changes in weight also had an impact on risk. The very bottom gives you some figures where if you were normal weight, your risk of atrial fibrillation is one. [00:09:00] If you were overweight, and you then lost weight during that first five years, that your risk of atrial fib wasn't any different than if you were never overweight to begin with. And that's a very important observation. Whereas if you stayed the same weight, or you gained even more weight within the obese category, your risk of atrial fibrillation stayed the same or increased. So it says that not only is it a predictor, but it's a modifiable predictor, that if you lose weight, your risk of atrial fibrillation may become less. And we'll talk a bit more about that in a minute. The other thing is that this risk starts early. So this is a very important study that was released also a couple of years ago that looked at Danish military recruits. This started at age 20 and your weight at age 20 predicted your risk of atrial fibrillation over the next 20 years. So again, suggesting that this is a process that's slow and ongoing, takes many years, but if you start out overweight, that in fact your risk of developing atrial fibrillation over the next 20 years is substantial. [00:10:00] All right, what can you do about it? What is it that's going on in the heart that's translating this excess body weight to more risk of atrial fibrillation? Well it turns out there's not only fat in various places in the body, but there's also fat around the heart and it's within the compartment that's kind of sealed in, if you will, by a tissue called the pericardium. That fat as it accumulates more and more, that correlates with obesity to some extent, but more importantly correlates with the risk of atrial fibrillation. And the more fat you have around the heart, the more pericardial fat, then the more likely you are to have atrial fibrillation and the more likely you are to have persistent and long-standing forms of atrial fibrillation. There's something about the amount of pericardial fat and that's the best predictor independently. [00:11:00] This is some work that we did about five years ago where again, it just says the pericardial fat was the strongest predictor of developing atrial fibrillation and having persistent atrial fibrillation. This is just a picture of what it looks like. We can quantitate this noninvasively and then start to look about how changes in pericardial fat volume may actually impact atrial fibrillation. That orange area that you see is on the left around the atrium of the heart and this is just an MRI picture and this is a slice from it and you can see the accumulation of fat around the heart. Now why is that important? Well it turns out that pericardial fat has some chemicals in it that the fat under your skin and other places in the body don't have, and those chemicals stimulate both inflammation and they also stimulate the laying down of fibrous tissue. Normal heart muscle dies and is replaced by scar tissue and that's related to the amount of pericardial fat that you have. [00:12:00] In fact, you can actually induce this in a cell culture by putting in extracts from fat around the heart that's taken away at cardiac surgery and comparing it under the skin. You can see in this middle panel here, that second set of pictures, that in fact the large red area is staining for collagen. There's much more collagen and fibrous tissue in the hearts where they've been exposed to the fluids from the pericardial fat but not from the subcutaneous fat. There’s something about that pericardial fat that then stimulates the development of scarring in the heart. That's what causes atrial fibrillation and that's the central thing and as we've seen from those population studies, this starts early. This is a disease like atherosclerosis where plaques build up in the arteries in your 20s and 30s and that ultimately expresses disease later in life, heart attacks and angina. [00:13:00] Well this fibrosis in the heart that's mediated by all of these risk factors, and in this case obesity, cause scarring in the atrium that over time has the clinical manifestation of having this abnormal heart rhythm, but that's just the endpoint of a process that's been going on for a long time. And again, the take-home message for you is that you can do something about this early, before the disease appears. It's not unlike taking a statin, only a little more complicated. There are many more risk factors here, but in fact there are things you can do to potentially prevent that from happening. Can we look at the scarring in the heart and see whether obesity has an impact on that? You've all heard of MRIs, and they're looked at for all sorts of reasons. We can take pictures of the heart now and slice them up. We're actually able to view, if you look at that bottom middle panel, there's a dye that's given, called gadolinium, during the MRI, and in this case, it concentrates in areas where there is increased scar tissue and fibrous tissue in the heart. [00:14:00] In those slices you see in the top, it's the brighter white areas along the outside of the atrium and then these can all be processed to get a picture that you see in the middle. The blue is normal atrial muscle and the green stuff is the scar tissue. We can start to quantitate, without just a noninvasive picture, what scarring looks like in the heart. In fact, that correlates very well if you look at the middle panel of pictures on your left. Normal muscle is on the far left; you see it's all red, and in this case blue dye stains fibrous tissue and collagen. In the areas where you see green on the scan, when those patients went to surgery, they took a small bit of muscle to look at under a microscope, those were the spots that had all the scarring. This does correlate, it does show scarring, and so this is a useful way and it may ultimately be a way that we can follow the fibrosis in the heart in terms of how risk factor modification works. [00:15:00] This is some data that we recently looked at. The amount of scar tissue that you have in your heart is directly related to the amount of pericardial fat that you have. On the far left, the relatively small volumes of fat, and you can see there's very little green on those scans; it's all blue. In the middle, as the amount of pericardial fat gets larger, there is much more green, and on the far right, where the amount is even larger. There's actually a pretty good correlation between pericardial fat and scarring. This is independent of all the other risk factors. Obesity is a major driver of scarring in the atrium and that's what mediates all of the atrial fibrillation. And in fact, it has a big impact on what happens at ablation. The heavier you are, in fact the more likely you are to have a poor outcome. [00:16:00] In fact, patients who were obese had a 30% increased risk of recurrence versus those that weren't, independent of anything else that was done at the time of the ablation procedure. The odds are stacked against you and it simply says you've got a more advanced disease and if you continue to be obese and don't lose weight, that that's going to continue to drive atrial fibrillation even after your intervention. In fact, you can cut that down; all of that’s due to the amount of fat around the heart. This is just a study on the right that says that if you don't have much epicardial fat, you do pretty well and as you have more, then you have less and less likelihood of staying in sinus rhythm. It's not just academic; this has got very practical implications and every intervention we do, it's impacted by all of these risk factors, in this case obesity. That's really the message that I want you to take home. [00:17:00] Now there's good news. Even after you've got atrial fibrillation, and this is a study that was just published a couple of years ago, if you then take people – and these were folks who were being considered for ablation but couldn't be scheduled – they had a choice of either very intensive risk factor modification where you try to control your blood sugar, you get your hypertension controlled, you would lose weight. If you did that, would you be less likely to have atrial fibrillation, fewer episodes, less symptoms? Well in fact, in this case that was what was shown. Now the magnitude of weight loss wasn't trivial. It was about a 19% decrease in body weight. This was a substantial attempt to lose weight but with that, what you saw was that you see the panels on the right, the upper curves, are the patients in terms of their symptoms and frequency of atrial fib. The bottom line, with the filled circles, are what happens in the people who chose not to participate in this program and you can see the outcomes were much better. [00:18:00] Patients had less atrial fibrillation, less symptoms and overall — well this was over a one year follow-up — this suggests that even once you have atrial fibrillation, that you can have an impact on how frequently your symptoms occur. We're going to see a little bit of follow-up at the end of my talk to sort of put this together about what risk factor modification can do, even once you have atrial fibrillation. If we just review all of the information about atrial fibrillation and obesity, I know you've seen a lot of that, but this is what I'd like you to take home today. That it's a very strong predictor of atrial fibrillation, that it's probably mediated by the fat around the heart and the chemicals it releases to produce scarring and fibrosis in the atrium. [00:19:00] That process can start early but that it's independent of all of the other risk factors and it has a very important impact on outcome. Even if you do other interventions like ablation, being overweight will make you do less well and that you can potentially change that. There’s more and more evidence that weight loss reduces the risk not only of new onset atrial fib, but once you have, it can reduce its recurrence and the progression to more permanent forms of atrial fibrillation. So again, I think that's the really positive message to take home. I want to conclude with, and this will sort of summarize some of the other things that you'll hear in the talks about exercise and the talks about sleep apnea, and this was a very aggressive risk factor modification program. [00:20:00] So again, this was that group of patients who were waiting for ablation, half of them or a substantial proportion took this intensive risk factor modification where they saw a physician every three months who guided them through weight loss, special diets, glucose control. This is now addressing multiple risk factors, not just weight – hypertension, diabetes, sleep apnea, and hyperlipidemia [high cholesterol] – trying to bring all of those things into control before the patients had ablation. And then this was about a 10 month period before ablation happened, and then look at the outcome. The red lines on the top were those patients who had aggressive risk factor modification and a substantial proportion of all of those risk factors had been corrected or at least markedly diminished. The bottom line was kind of the usual care where the doctor said, "Well, lose weight, get your blood pressure under control, but you do it, we don't have anything to do with that, that's up to you," and you see what happens. It was almost a twofold difference in the risk of recurrence. [00:21:00] We as physicians can no longer afford to ignore these things when we prescribe therapy for patients, because they simply won't work unless we take a really large holistic view of this, not just of obesity or just sleep apnea, but all of these things together. I think this study gives us a very strong impetus that we can substantially improve outcome if we pay attention. It's not just worrying about which drugs or which intervention, but all of these have to be done in the context of very broad-based and aggressive risk factor control. So you can actually take control of your disease and try to reverse it. With that, I think we're going to move on to a couple of our other participants in the panel today. What I would ask you to do, let's hold questions for right now and let's plan on asking those, we'll have time for panel discussion hopefully of at least about 20 minutes at the end of this. [00:22:00] I'd like to invite our next speaker to come up. That will be Dr. Susan Redline. She's the Peter Farrell Professor of Sleep Medicine at Harvard Medical School and directs the programs in sleep and cardiovascular medicine and sleep epidemiology both at Brigham and Women's Hospital and Beth Israel. We're very fortunate to have her today to talk about sleep apnea and its impact on the control of atrial fibrillation. Susan, thanks for coming. Dr. Redline: Thank you all very much. First, I would like to thank Mellanie. I met her at a Patient Centered Outcomes Research Network meeting that brings together patient groups with various interests. Mellanie also works with the Health eHeart group, and I work with the My Apnea, or the sleep apnea, group. We started talking about sort of the overlap between the health conditions in our two groups and realized we could do some things together. [00:23:00] Mellanie reached out to me and one of her first things to do together was to get me to Dallas and it's really my pleasure. Actually, I think we had a nice introduction about obesity and now I'd really like to talk about one of the newcomers on the block in terms of a modifiable risk factor and that is sleep apnea. For those of you who may not be aware of sleep apnea, it's a condition that we define by measuring your sleep and breathing overnight. Apnea means a period where you stop breathing for at least 10 seconds or more. [00:24:00] A hypopnea is where your breathing goes down, it becomes very shallow for 10 seconds or more and also results in a drop in your blood oxygen levels. What we do to diagnose sleep apnea, we actually count the number of these apneas and hypopneas that you experience overnight and we actually determine an index which we call the Apnea-Hypopnea Index, AHI. That's the total number of these events divided by your hours of sleep. Normally the AHI is less than five per hour. People with severe sleep apnea have an AHI of greater than 30 and you'll see what that looks like in a minute. Here under the normal breathing, you could see the various sort of channels of data we collect. This is from measuring your breathing going in and out from the passage of airflow at your nose and across your chest. [00:25:00] What you can see here is that those periods that are flat under apneas are where your breathing totally stops because of a collapse of the tissues in the back of the throat preventing air from moving in and out. Now this can be quite severe. This is actually a five-minute snapshot of someone's breathing at night and I'd like you to really focus on the last two lines on the slides. And those recurring periods of where there is a flat line and then an increase, that's not your heart, that's actually your breathing. Flat line, increase, flat line, increase. Under there, you see the see-saw pattern, that dip pattern. That's the oxygen level falling with each and every drop in your breathing. When that happens, when your oxygen drops, there's a surge in the catecholamines or adrenaline in your system and your blood pressure can go up to very, very high levels and it can be a release of these inflammatory chemicals in the blood, contributing to some of that pathogenesis of sleep apnea that Dr. Wilber talked about. [00:26:00] Sleep apnea is now increasingly recognized in the population as a significant contributor to health problems and unfortunately, it's actually quite prevalent. The latest estimates are almost one in five people. Older people in the general population have sleep apnea and in fact, it seems to be going up in prevalence because sleep apnea is more common in individuals who are overweight. Although let me emphasize, it also affects non-obese individuals. What's particularly concerning is that the vast majority of people with sleep apnea, 85% it's been estimated, are undiagnosed. [00:27:00] Furthermore, there are pockets of people in our country in whom the severity of the disease may be very high and yet they remain particularly undiagnosed. That includes poor, ethnic minorities, and our recent data are even pointing to Asian Americans where it seems like only 4% of older Chinese Americans with sleep apnea are diagnosed. Now sleep apnea is a common traveler in individuals with underlying heart disease and you'll see that more in the next slide. But in fact, about one third of patients with coronary artery disease have sleep apnea and more than half of people with diabetes and hypertension. It also is very common in obesity and in fact some of those problems that Dr. Wilber talked about with obesity may be further exacerbated with underlying sleep apnea. The two may act together to really promote all that inflammation and fibrosis. [00:28:00] What are the sleep apnea risk factors? I mentioned that obesity is a big one, but other individuals do not have obesity. In fact, as you can see in that lower picture, they're other risk factors like the shape of your jaw area or your cranial facial features. Anything that reduces the size of your throat, let it be a bony shape or even the size of your tongue or tonsils can increase sleep apnea. Men are at increased risk compared to women, but women after menopause, with changes in female hormones, are at increased risk once again. Sleep apnea, like atrial fibrillation, gets more prevalent as we get older. Sleep apnea is increased if you have a family member with the disease. It's also increased with people who have underlying nasal problems and allergies and that's probably because of the problems of breathing through your nose that then cause collapsibility in the back of the throat. [00:29:00] I don't know what you did last night, but if you had a drink of alcohol before bed, you were likely to have one of the classic symptoms of sleep apnea, which was loud snoring and snorting. Alcohol will reduce the tone of the throat muscles and can make sleep apnea worse. Now, why do we care about sleep apnea? First of all, by having these recurring periods where your breathing stops at night, we also prevent the body from going to good deep sleep that's needed for adequate alertness during the day, cognitive function and well-being. People with sleep apnea commonly have problems they report with behavior or attention problems or just feel poorly during the day. [00:30:00] They also can be sleepy and have what we call poor vigilance, a problem sustaining attention, and that can put them at risk for increased accidents and injuries. But we also know, as I alluded to this, sleep apnea has metabolic changes. It can increase your levels of insulin and increase insulin resistance and also cause changes in your lipid levels. So there seems to be an increased risk of diabetes and because of these surges of adrenaline at night, as well as these other inflammatory factors, people with sleep apnea are at increased risk for hypertension, for resistant or poorly controlled hypertension, for coronary artery events, heart failure, arrhythmias and stroke. Finally sleep apnea is associated with premature mortality. [00:31:00] Here is a graph that shows the prevalence of sleep apnea in various heart diseases. You can see among people with resistant hypertension, hypertension that doesn't respond to three or more medications, the vast majority have sleep apnea. It's also quite common in heart failure, coronary artery disease and angina. In fact, in atrial fibrillation, it's estimated that 45% of patients with atrial fibrillation have sleep apnea. Now why do patients with atrial fibrillation have sleep apnea? Certainly there are some underlying common risk factors like obesity, hypertension and diabetes, and some of those factors may be exacerbated by sleep apnea. As I mentioned, sleep apnea can contribute to both hypertension and diabetes, but there are additional mechanisms by which sleep apnea causes stresses on the heart that specifically may lead to arrhythmias. [00:32:00] For one thing, as our breathing collapses at night with an apnea, we then have to struggle to open it up. When we struggle to open it up, we cause an increase in the negative pressure, the sub-atmospheric pressure around the heart and that causes stretching of the atrium, tension on the wall of the heart and also will reduce blood flow or cause ischemia. They're the mechanical stresses on the heart that could occur actually 100 times a night if you have severe sleep apnea with each breathing pause. I alluded to the idea that because oxygen levels drop, you could get acidotic [increased acid in the blood and body]. You'll have this release of catecholamines, a release of chemicals and proteins, that can contribute to inflammation and increase clotting that also may increase risk for arrhythmia. [00:33:00] We know atrial fibrillation is associated with the autonomic nervous system and the balance between your sympathetic system, that fight or flight drive, and your vagal system, your parasympathetic system, your diving reflex; in fact, sleep apnea can directly be shown to increase that sympathetic activation as well as actually periodically causing abnormal vagal drive. That dysfunction between the sympathetic and the parasympathetic system also may be one of the contributors to atrial fibrillation in sleep apnea. Now here's a study my colleagues and I did from a large, large population study called the Sleep Heart Health Study. What we did was we studied over 5,000 individuals with overnight sleep studies. [00:34:00] These are people who did not present with atrial fibrillation or sleep apnea. They were middle-aged, older individuals from general communities and then we looked in their sleep study, because we do measure the ECG overnight, and looked to see how many people had atrial fibrillation overnight. We found in orange that among those who did not have sleep apnea, less than 1% had atrial fibrillation, whereas those with moderate or more sleep apnea, the prevalence was almost 5%. When we statistically adjusted for differences in this group, even for their weight, their age and their blood pressure, we found that those individuals with sleep apnea were at a 4.5 increased risk of having overnight atrial fibrillation compared to those without sleep apnea. [00:35:00] What was really interesting was the risk actually was even higher in the middle aged compared to the older individuals. It was actually seven fold higher in those who were 50 to 60 years of age compared to those who were over 60 years of age. We have another study, I didn't make a slide of it, but it's coming out in the literature in the next few weeks, where we looked at another study called the Multi-ethnic Study of Atherosclerosis [MESA] — again, a very large population-based study — and here we looked at the overall prevalence of atrial fibrillation during the day by ECG and by doctors' diagnosis and we related that to the sleep study. There we found not only a significant association with sleep apnea as measured by that AHI, but also the proportion of slow wave sleep, that's the deep stage of sleep where we're supposed to recharge our batteries, also predicted atrial fibrillation such that those with the lowest amount of deep sleep had actually the highest odds of having atrial fibrillation. [00:36:00] So your deep sleep is also important. Deep sleep is when the sympathetic tone goes down and if we don't go into that deep stage of sleep, our sympathetic tone may not fall in a protective way. Now this is another study my colleagues and I did. It's a little complicated, but what I like to sort of draw you to is that diagram and that blue period. That's a little snapshot from a sleep study and that blue period is an apnea. Right in the middle you see that flat line; that's no breathing, and then you could see with that arrow right after the line there's actually an arrhythmia. That's those red lines. [00:37:00] What we did was we looked within a large group of individuals how many times arrhythmias followed periods of apneas compared to how many times arrhythmias might have occurred after a period of normal breathing. What we found was the apneas themselves were 17 times more likely to trigger a cardiac arrhythmia. Either a period of paroxysmal atrial fibrillation or non-sustained ventricular tachycardia compared to a period of normal breathing. The apneas themselves serve as a direct trigger to these paroxysms. What does this mean? For simplicity, just look at the second bullet. What we estimated was there's a 17 fold risk, but let me be clear that that's a relative risk and still these events are relatively rare. What we translated that to is that an individual with moderate to severe sleep apnea, an AHI say of 25 apneas an hour, who on average sleeps eight hours a night, would have one excess arrhythmia at night every 6 to 7 months. [00:38:00] Now one of the other things that you obviously worry about with atrial fibrillation is stroke and in fact, sleep apnea is also associated with increased stroke risk. In this particular graph you see basically the incidence of strokes and these are in 1,000 person/years. The numbers are hard to look at, but you see the shape of the graph, and you could see as the AHI goes up, the overall incidence of stroke goes up and that's even after adjusting for other stroke risk factors, such that in particular in our analysis in men, who this relationship was stronger, there was a threefold increased risk of stroke related to having sleep apnea. [00:39:00] Now does treatment of sleep apnea, which I'll talk about in a minute, reduce your risk? Well we're still looking for those answers and we're in the process of designing those bigger studies, but there are some small studies that give us a suggestion that treatment is in fact useful. For example, on the first set of bullets, there was a series of studies of patients who were referred for OSA. OSA means obstructive sleep apnea. And there they were anecdotal again, relatively small samples, that CPAP eliminated or reduced various arrhythmias in those patients. There's also been studies that specifically have looked at heart failure, HF, and sleep apnea. That's the second bullet. There the studies reported that one month of CPAP resulted in almost a 60% reduction in PVCs and the reduction in NE levels — that's the neuro epi levels, the sympathetic levels. PVCs and couplets also were reduced in a group of patients with central sleep apnea. [00:40:00] Perhaps one of the more intriguing articles comes from the Mayo Clinic and here they actually looked at the recurrence of atrial fibrillation after cardioversion and they did this following their patients for a years' time. They found that amongst untreated sleep apnea patients, almost 90% had recurrent afib after cardioversion. However, among the group in whom sleep apnea was treated, that rate was reduced by half to 47% and in fact was a little smaller even than all comers to their sleep lab, where it was 53%. And although this study is really not perfect at all, it's not the way we do really high evidence studies, it provided very, very important information suggesting that treatment with CPAP in particular may reduce risk of recurrent afib after cardioversion. [00:41:00] Now let me actually talk a little bit more generally about sleep apnea. What are the symptoms? If you are waking up at night even, when you don't realize it just because you having these arousals with breathing pauses, you may be sleepy during the day. However, I see a lot of women in the audience, women usually don't report sleepiness. I don't know why, but they are often more likely to report fatigue and therefore the doctors often don't recognize sleep apnea. Snoring is another symptom. Snoring basically results from turbulence of airflow in your throat. It's the vibration of tissues as those throat tissues are narrowing. Pauses in breathing at night. You may have a bed partner who is actually, or you've observed him to, snort and gasp at night. [00:42:00] That's the throat struggling to open up after a collapse. As I mentioned, fatigue. And also insomnia or problems getting to sleep and again, in some people even depression. How do we diagnose sleep apnea? Once upon a time it required us to bring the patient into a laboratory overnight and make many, many measurements. However now we have fairly simple tools. You could see this individual where we just measure very simply the airflow with a little cannula at the nose, a couple of bands around the chest and a finger pulse oximeter. Now how do we treat sleep apnea? Like everything we do, risk factor management is always important. Things like weight loss and managing your diabetes and blood pressure are always good things. Things to manage, good sleep hygiene, getting good regular sleep is always helpful. [00:43:00] However, we often need to go further than that and one of the key things that we do is something called CPAP and this woman at the top is modeling that, where the CPAP machine, which is a little bedside machine people have, blows air into the throat and like a balloon that's blowing up, it prevents the balloon or the throat from collapsing. It's not oxygen, it is almost like a little stent. However there are also these oral appliances shown below. These are devices that are put in the throat that you wear at bedtime that just bring the jaw open and therefore open the airway and stabilize it. There are also some surgeries that could be done, there are some newer medical devices that are thought to be a little less invasive, depending on the severity of your disease and the specifics, your anatomy and your weight. There are a number of different options. [00:44:00] Now as I said, I met Mellanie through PCORI, the Patient Centered Outcomes Research Network, and I really encourage you, just as you're very enthusiastic about atrial fibrillation, I'm enthusiastic about the link between atrial fibrillation and sleep apnea. On your tables and in the hallway, I've been encouraging you to spread the word because we want to link these two conditions and we want patients to have a say about how we study things like the role of sleep apnea treatment on atrial fibrillation. We are actually actively recruiting patients with sleep apnea, their family members, even their children to really help tell us how we could also develop better research for sleep apnea, including its link to atrial fibrillation. There's some education, there's a dashboard and we continue to develop that. [00:45:00] So in summary, sleep apnea is common in the population, especially in people with heart disease. It's associated with a four-fold increased risk of atrial fibrillation. Our data seems to suggest that apneas directly trigger arrhythmias during sleep. Untreated sleep apnea is associated with an increased risk of recurrent afib after cardioversion and that seems to respond to sleep apnea treatment. We need better research on the role of CPAP and other sleep apnea treatments on preventing and managing afib and in fact, we have some opportunities through patient groups and other research organizations to work together. Thank you very much for your time. Dr. Wilber: We'll move on to our last speaker in the didactic portion of the program. I want to encourage anybody, formulate your questions; if you're uncomfortable coming to the microphone, write them down, you can pass them on to Mellanie and she'll give them to us. [00:46:00] Our last speaker is Dr. Mark Link who's a professor of medicine at Tufts University. He's the Director of the Center for Evaluation of Athletes, so therefore highly qualified to talk about the impact of exercise in atrial fibrillation. I think for all of us it's been a little bit confusing how much is enough, how much is too much, so we're going to get those answers next. Mark. Dr. Link: Thank you, David. Thank you, Mellanie, for having me here. My goal today is to talk about exercise and actually to sort out how much should you do and how much may be dangerous. Before I start, I'd just like a show of hands, how many of you in this room exercise every week? And then one of the differentiations of what they use, that was probably about 70%, of what we call more extreme exercise is really the time. [00:47:00] Some people talk about three hours, some people talk what five hours, but let's say five hours a week. How many of you exercise more than five hours a week? That drops the number down significantly. How about three hours? Because that's another cut-point for other studies. It's probably about 50%. Let's move on to the first slide. Some of this stuff is going to be background, so we'll go through it very quickly, but it's just in order to frame the talk even more for myself. We've all heard about how prevalent the afib is in the population. There are actually estimates by 2050, that there may be 50 million people with afib in the United States. So this is a growth industry for us in EP. We've looked at all these risk factors; you've seen this slide, very similar. My goal is to talk about the last two, that's the caffeine and other stimulants and excessive exercise. You've heard about most of the others up here already today. [00:48:00] All of you know the symptoms that can be asymptomatic, or fluttering, and strong or rapid heart rate, tiredness, fatigue, chest pain, trouble breathing and anxiety. Now let's get to something that I want to take a little bit more time on and that's vagally-mediated afib. We're going to spend a little bit more time on it because this is one of the types of afib that's predominant in athletes and dramatically contributes to the increased incidence of afib in athletes. Vagal tone and sympathetic tone are opposite and they in many ways are responsible for your heart rate, your blood pressure, your gut. But this is the nervous system that you don't think about and that runs on its own in the background and contributes to the ability to maintain blood pressure, the ability to raise your heart rate with exercise. [00:49:00] The sympathetic tone is what drives the fight or flight reaction. That's what causes your heart rate to go up, your blood pressure to go up and we've heard about that a little bit with what happens with changes in sleep. The vagal tone is the opposite of the sympathetic tone and that's what causes your heart rate to drop, which causes you to adjust the heart rate when you rest and it particularly predominates in situations such as postprandial, which is after eating, at rest and sleep and immediately post exercise. You can see why athletes have so much of this. Athletes also have much higher vagal tone and the vagal tone in athletes is directly related to the level of fitness. So the more fit an individual is, the higher their vagal tone is and this contributes dramatically to the heart rate during sleep. [00:50:00] Athletes that are really fit can have heart rates drop down into the 30s at night and that's low enough for some individuals to even have pacemakers recommended. This high vagal tone at sleep also contributes to afib and it's one of the reasons that athletes have a higher episode or higher incidence of afib. Vagally-mediated afib tends to be occurring at night, you don't get it during the day and it's shortly after you go to sleep or go to bed that the afib begins. Often typically when you wake up in the morning, after an hour or two, the afib will disappear. So again, one of the common types of afib we see in athletes. Adrenergic, or sympathetic-mediated, afib is less common, so it's much rarer compared to vagal afib. This occurs during situations in which you have a sympathetic drive. [00:51:00] So it's heightened anxiety, heightened exercise, heightened fear and it's preceded by a rapid normal heart rate, normal sinus rhythm that gets sinus tachycardia. 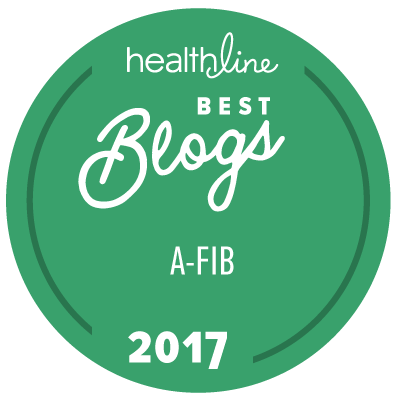 For these individuals, often when they stop exercising, the afib will go away and this is particularly a type of afib in which beta blockers can actually prevent afib very, very well, which is kind of unusual with afib. Beta blockers really we don't think of as anti-arrhythmic drugs for most people with afib; they just control the heart rate when you go into afib. It's also important because the sympathetically-mediated afib rarely progresses to permanent or chronic afib. So it's a different bird than typical afib and in fact, both adrenergic and vagally-mediated afib are different types of afib. [00:52:00] Now I'm not going to go over this whole slide, but I'm showing this because exercise is really quite complicated. Both during the acute exercise stress on the right-hand side where there's increased sympathetic tone, which leads to a cascade of activities in the heart, and then immediately post exercise where you have a drop in sympathetic tone and increase in vagal tone, which again leads to another complete change in the physiology in the heart and the body. Complications we all know about, diagnosis we all know about, it requires an EKG, and I'm going to focus on the treatment or prevention and that's going to be excess exercise and caffeine. Most of us know the benefits of exercise. They're really quite pleomorphic, they affect many of the body systems, the exercise improves cholesterol, it reduces the risk of a myocardial infarction. [00:53:00] I'll spend a little bit of time talking about heart attacks. Heart attack, we are trying to get away from in the medical profession because heart attack really is very nebulous. You can either mean a myocardial infarction, which is a plumbing problem where the blood flow to the heart is interrupted and the heart tissue dies, or it can also refer to sudden cardiac death, which is an arrhythmia problem, an electrical problem. You can see when a patient says my dad had a heart attack, that doesn't help us much because they're different things and it's very different whether the father had a myocardial infarction or whether the father had a sudden cardiac death. We're trying to get away from heart attack and be a little bit more specific because it can mean those two things. Exercise also reduces obesity. Exercise reduces blood pressure. It improves diabetes. It reduces stress. It helps with quitting smoking. [00:54:00] I tell my patients all the time with their smoking that you have to start exercising, because once you start exercising, you'll realize how bad smoking is for you. In a number of my patients this is the only way they could actually quit smoking, was actually to get on a bike, to start jogging, do something that really made them feel what smoking was doing to their lungs. The question before us today, and the question that comes up frequently, is how much exercise do you need to do? What do you absolutely need to do to get the health benefits of exercise? There's a tremendous amount of data coming out over this issue and what's shown, and I can show you a hundred slides that show this, is that just doing something, getting out there and walking, makes a tremendous difference. You probably get 70% of the benefit of exercise just from being active and walking 20 to 30 minutes a day. [00:55:00] When I mean walking, it has to be walking fast enough to get your heart rate up; that's sort of the threshold. You have to get some workout, you can't just go for a stroll around the block with your poodle. You have to really get your heart rate up and exercise a bit. But if you do that, that's about 70% of the benefits of exercise. Now more vigorous exercise typically will get you more benefit, both in terms of weight loss, in terms of diabetic control, in terms of longevity, and there have been many studies that have shown that the highest quartile of exercisers do the best in terms of longevity. This is a difficult slide but I just want to show you and walk you through this slide. We're going to shift a little bit from longevity in which all these studies have shown the most fit individuals and the most fit individuals over time in general have an increased longevity compared to the ones that are less fit. [00:56:00] Now let's shift to afib because here the story is a little bit more contradictory in that extreme exercise may actually increase the risk of afib, which is sort of a paradox compared to what it does with longevity and coronary disease. You can see that this slide is the walking distance blocks per week and the reference is one and that's the individuals are hardly walking because it's zero to four blocks a week. As you increase the number of blocks you walk, you can see that the risk of afib drops in this study. Now this is walking, this is not extreme jogging. You can also see as the walking pace is faster, the risk of afib decreases. With moderate exercise, the risk decreases for afib and this is shown in this plot trend. You can see that those individuals that are the healthiest walkers have the lowest risk of afib. [00:57:00] But here's the problem with extreme exercise. You can see that with extreme exercise, it's much more difficult on the body; you get increased catecholamines, increased preloads and probably the worst problem with extreme exercise is the increased pressures that occur in the heart. These increased pressures in the heart can over time cause strain to the tissue, can cause scarring, can cause fibrosis and again, over 10 to 15 years of that kind of strain on the heart, you can actually get a substrate that is conducive for afib. Several small series have shown that long-term extreme exercise, particularly in marathoners, ultra-marathoners, and endurance cyclists, have up to a fivefold increase in afib. [00:58:00] I want to separate out in your mind the population study that I just showed you, which takes 100,000 individuals and looks at their exercise and is shown that exercise is actually beneficial in preventing afib. That kind of study includes very few endurance athletes. The kind of studies that have shown the increased afib in athletes have been those studies that have taken 100 athletes or 150 athletes who have exercised and again, some studies define it as three hours, some define it as five hours a week, but in those small studies they've shown that these ultra-endurance athletes have up to a five-fold risk of afib. This shows you a study in 2012 that shows you the incidence of afib and flutter in athletes. This looks at the lifetime training hours so again, every study is a little different in how it defines an extreme athlete, but you can see that with more hours training in your lifetime, your left atrium volume increases and that's one of the risk factors for afib, and the premature atrial contractions increase and again, that's one of the risk factors that's associated with afib. [00:59:00] I can show you study after study of this that the really extreme athletes are going to have more afib. But this is only true for the real extreme athletes and I think that's the important take-home message that you must leave here with, in that exercise is good for you and good for your heart as long as it's not extreme. But I don't think that's an issue for too many of us and I think most of us would characterize as being benefited by athletics. Here's a meta-analysis of afib and exercise again. This is a study that takes a large population view and when you take a large population view, there's no increase in afib with athletes. [01:00:00] Let's spend a little bit of time on stimulants because we always hear these are marketed quite extremely. In that runner's magazine that I showed you and other magazines that are into fitness, the bulk of the advertisements are actually for stimulants. Anything that advertises that it increases energy or causes weight loss, potentially has a stimulant in it that will increase the risk of afib and I think that's a fairly easy statement to make. If it's going to cause weight loss, if it's going to increase energy, then it has to have something that increases the sympathetic drive or it is false advertising. So if it really works to do those two things, it's also going to increase the risk of atrial fibrillation. I am very cautious about these stimulants. We don't know what's in them, but if they really work as they should, they're going to increase the risk of afib. [01:01:00] What are other specific issues for athletes with afib? Is detraining necessary or helpful? Again, in some of the extreme athletes, it may be helpful, but most athletes that are extreme are doing that because it makes them feel much better. So for most of these athletes, they're not going to be willing to detrain and that they're going to have to learn other ways to deal with their afib. That brings us to should athletes with afib be treated differently? Beta blockers are banned in competitive sports although that's not usually an issue for our athletes with afib because if you have afib and you're an Olympic athlete, you're going to have a hard time competing at the top levels. But beta blockers can limit performance and that is an issue for endurance athletes. What about catheter ablation, should this be used first line instead of pharmacological medicines for athletes with afib? I think that that's a very personal decision for the athlete themselves. [01:02:00] I think certainly as ablation has gotten more successful and safer over the last 10 years, I have many patients that will choose to have a catheter ablation prior to any trial of antiarrhythmic drugs and I don't have any problem with that. And then finally, is afib harmful to your heart? It's really only harmful to your heart if it's very rapid and continues over time. As long as the afib rate is controlled, then it's not going to cause any long-term damage. Certainly can cause symptoms, certainly can cause strokes, but it's not going to cause weakening of the heart muscle. In conclusion, extreme exercise may increase the risk of afib, but anything less than extreme exercise is beneficial, not only in preventing afib but in promoting general health, even health beyond the cardiovascular system. Energy and weight loss supplements typically contain high doses of stimulants, including caffeine, which increases the risk of afib. Thank you. [01:03:00] Dr. Wilber: Now comes the fun part. We certainly really want to make sure this is a meaningful discussion for you. We encourage you to come to the microphones that are in the front and again, if you feel more comfortable submitting them by writing the questions down, feel free to do so. Then we'll aim to address them as best we can. Shelley: Morning. I had my hybrid closed beating heart surgery by Dr. Edgerton in May 2011. I'm a former elite runner. My resting heart rate at the time was 33 beats per minute while training. Two times a day, I was training seven days a week. [01:04:00] After training now, my heart, while sleeping, goes into atrial fib and ventricular tachycardia. I'm on Rythmol and metoprolol, which seems to be going well. My question is for you, for athletes now and younger athletes now, what can be done to help these athletes get diagnosed before SVT and ventricular tachycardia incidents while they're competing? Dr. Link: I think that it's a difficult question because there's no doubt that some athletes are going to be harmed by the extreme athletic activity. It is at this time impossible to predict who they are because the majority of athletes are not going to develop cardiovascular problems and in fact, the majority of athletes are going to be benefited by exercise. [01:05:00] I think that once a young athlete presents with an arrhythmia, especially atrial fibrillation, then you can say they are likely to be one of those unlucky subsets of athletes that athletic success, especially extreme athletics, which is what you were doing, actually promotes afib. It's going to be in that individual that I think you are going to have to have the discussion of how much risk are you willing to take with athletics. Because it is probable that if athletics, exercise, were reduced, the afib would become less of an issue. But I don't want people to go away from here saying I shouldn't exercise because I think you're unusual in that you were a very, very vigorous extreme athlete and in all likelihood, that worsens afib. Shelley: What about the younger athletes that are competing, say in middle school, but they don't show any symptoms up until the time that they compete on the track? [01:06:00] Dr. Link: For those athletes in middle school and high school and college that don't have any symptoms, I don't think we have enough information to warrant monitoring them for asymptomatic afib. I think most athletes with afib are going to have very rapid afib and they're going to be symptomatic. It's because their rates are going to be poorly controlled. I think if they present with symptoms, yes, something needs to be done, but if they have no symptoms, I wouldn't advocate EKG screening or 24-hour Holter monitor screening for those individuals. Maybe a little different if there're other risk factors such as family history, because there are other risk factors that certainly play a role. Dr. Wilber: We'll probably go back and forth between the two microphones. Go ahead. [01:07:00] Chris: Good morning. I was diagnosed with afib during a 28-month psychiatric crisis starting with insomnia. I didn't sleep, I just stopped sleeping. So I'm very interested, because I now work with PTSD survivors and thrivers, and I'm interested in this parasympathetic/sympathetic difference in people with afib. My anxiety, I was told by the PA who first treated me in the Heart Hospital Albuquerque, that I triggered my afib with insomnia and anxiety. I had severe agoraphobia for two years, did not go out unless I absolutely was in an emergency, and I was in a major depressive episode. Did that trigger my afib? Dr. Wilber: Well, we didn't have a chance really to address the topic of stress and atrial fibrillation and one of the problems of stress is that stress is really hard to quantify and so it makes it very difficult. I think there's no doubt and there're some studies that at least by patient-perceived level of stress that there does seem to be perhaps some, or job stress even, there have been some data that suggests that stress and more frequent levels of atrial fibrillation can occur. [01:08:00] I think it's again a subtle interaction. If it's the only thing in your life, is it possible that that "caused atrial fib"? We don't know. Unlike some of the other things like sleep apnea and obesity where you can see a link between atrial fib or rather between the problem and the fibrosis in the heart, I'm unaware of anything that has looked at stress per se as causing fibrosis. We certainly know, because of all the changes in autonomic tone that you mentioned, that it's a trigger and whether or not it actually contributes over time with chronic stress, does that by itself, can that increase levels of scarring and fibrosis in the atrium. I don't think we know, but now that we have some of these noninvasive techniques for following scarring, perhaps we'll get an answer to it. [01:09:00] Dr. Redline: I didn't have a chance to talk about insomnia per se. Just as a note, insomnia is a disorder that's also quite common in the population. About 15% of us have had chronic insomnia at some point in our life and it's basically a disorder defined as difficulties getting to sleep, staying asleep with frequent awakenings. But we now recognize that insomnia is a disorder of hyper arousal. It is a disorder that's often tightly linked to anxiety and the kind of stresses that Dr. Wilber has told. Now there's very little about insomnia and atrial fibrillation, but there is growing evidence that insomnia as a disorder of hyper arousal is a risk factor for heart attacks or myocardial infarctions and perhaps even heart failure. There's some really important work to be done to understand it, because insomnia is associated with stress, anxiety and depression and also, especially in women, can be a symptom of sleep apnea. [01:10:00] Chris: Can I have a couple more? I have a couple of more that are tied to this. I'm drug-resistant to antidepressants, I'm genetically drug-resistant, so after 10 meds I agreed to have ECT, electroconvulsive therapy. Which in five treatments, I was smiling again. My question is, what are the risks with afib of having more ECT? Because if I have what we don't call a relapse anymore, but if I have a setback and I have to have ECT again, my last ECT caused my blood pressure to go sky high. I had to have mega beta blockers during it. Is it dangerous? Should I not have ECT or should I continue with ECT, does anyone know? [01:11:00] Dr. Wilber: I'm unaware of any data addressing that, but I don't think that it's certainly not contraindicated in terms of your atrial fibrillation. Perhaps we can continue some of this conversation during the break. Chris: Because I'm an ECT advocate now at UNM Psych Center, so I'd like to know more. Thank you. Dr. Wilber: I think there's a lot of limited data particularly about ECT and atrial fib though. Stephen: Yeah, another risk factor. I'm ready to adjust to all of the lifestyle changes and so on we've been talking about, but one I have a little problem with – I love my beer in the evening. Can you comment a little bit about alcohol and afib? My doctor says two beers a day. I've heard various opinions on that and can I have your comments? [01:12:00] Dr. Wilber: I think we each can sort of comment on that. Mark, why don't you start? Dr. Link: I like my two wines a day too, so I'm with you there. I think the data on alcohol, and I'm going to stay away from the data on alcohol and sleep apnea because I think that we'll hear more about that, but the data on alcohol and afib are pretty clear in that it's really the binge drinking that causes the acute risk of afib. That's the kind of drinking that we call holiday heart, it's the Friday night party, it's the freshman going to college that drinks. There's no doubt that binge drinking is increasing the risk of afib, but I don't know of any data that would say one to two drinks a day of whatever alcoholic beverage you care to drink increases your risk of afib. I think there's actually probably more data that would suggest that one to two drinks a day from a general cardiovascular standpoint is not unhealthy. [01:13:00] Dr. Redline: I will add to that that my biggest recommendation is to try not to drink two hours before bedtime. Because alcohol does have this acute relaxing effect on the throat, although it can help induce sleep, some people take a drink to get them to sleep; when the alcohol levels go down in the middle of sleep, you'll wake up and you'll have disrupted sleep. Stephen: I also have sleep apnea, so I'm aware of that. Dr. Link: You have to drink in the morning. Dr. Wilber: I think I'd agree with most of the things that have been said in that in general, probably two drinks a day, at least most of the older studies would suggest, that's not harmful. There've been some arguments about whether some kinds of alcohol, be it beer, hard liquor or wine, are they different in their effects and I think they're still controversial. So I think that's probably still a reasonable rule of thumb. [01:14:00] I should mention however that there was just recently a study, I think in JACC [Journal of the American College of Cardiology], that suggested that even a drink a day, I think it depends on the population that you sample, there was some slightly increased risk. So I think that hasn't been verified and the vast majority of information that suggests that one or two drinks a day, particularly if it's wine, are probably fairly safe and are unlikely to increase your risk. On the other hand, if you notice that every time you even have a couple of drinks in the evening and nothing else and you have atrial fibrillation, then that's another story. But I think in general that approach is reasonable. Stephen: Okay, thank you. Thanks. [01:15:00] Female: Thank you for the excellent presentation. I have two questions. One is on the presentation on the sub-atmospheric pressure in the heart. I did a lot of flying on long-haul flights in the last 15 years and I wanted to get your thoughts about the changes on the sub-atmospheric pressure in the heart when the plane is taking off or landing and the second stage when the plane is high in the sky. I don't have a lot of risk factors as you can see, other than stress and lots of these long-haul flights. I just want to see if this is something we should consider? Dr. Wilber: I'm not sure I understood that. What's the thing, the problem that you're concerned about? Female: It's about the presentation on the sub-atmospheric pressure in the heart. Dr. Link: With changes with flying, when you're landing. Female: And also when the plane is high in the sky. [01:16:00] Dr. Link: There's pretty clear evidence that the left atrial pressure affects the risk of afib and if you're not someone that... and there's no doubt with flying, that atmospheric changes can affect left atrial pressure by a few percentage points. It's not a huge thing. In a susceptible person that has other risk factors, if anyone has afib, yeah, that's one of the situations that in all likelihood can increase the risk. It's not a one-to-one correlation; you're not automatically going to have it, because with cabin pressurization, the changes are not that extreme. Female: Because I see the bottle squeeze quite badly and I wonder the left atrium may react accordingly. Dr. Link: The predominant way that it would be affected would be pressure changes. That would be the predominant change. Female: So would you think I should stop flying or…? Dr. Link: If you go into afib every time you fly, I'd consider that, but if it's a very random event and you don't get afib that often, then I think... I mean it's what we say to all our people. If you can identify a trigger and it's a clear trigger for you, and everyone has different triggers, then yeah, avoid that trigger. [01:17:00] Female: Okay. The second question is about pericardial fat. There's a lot of discussion about good fat and bad fat. If someone ate a lot of good fat like avocado, walnut, seed, and almonds…of course, everything should go with moderation. Have any studies been done about the risk of good fat becoming pericardial fat or has no study been done? Dr. Wilber: What you're asking I think is about dietary fat versus fat that's accumulated in the body and I'm not sure those are necessarily the same things. The interesting thing is although as people get heavier, they have more pericardial fat, there are other things that determine it. There are some relatively normal weight people that can have a lot of pericardial fat. [01:18:00] The big determinant here is what's around the heart, not what's on your hips or any place else, so to speak. Although there's a general correlation, there may be even genetic differences why some people concentrate more fat around the heart than others. I'm not sure how any of that relates to the dietary fat. It's a reasonable question and I don't know the answer to it or that there are sub-types. I'm sure the story as we look into this more and more, we'll get more specific about it. Right now we only know there's a general correlation between the amount of fat and the amount of scarring in the heart. Female: So do I understand correctly that based on existing research or medical literature, no one can say... leaving aside genetic differences and other physiological differences, can we say even good fat in avocado may potentially end up in the heart? [01:19:00] Dr. Wilber: Again, I'm not sure how dietary fat translates to what you accumulate in your body and how that all might transpire. I think that's going to be sort of subject to future research. If there's better things we can eat that might decrease the amount of fat accumulated around the heart is part of elsewhere. Dr. Wilber: Thank you. Next question. Male: I'm a little bit of a weirdo, I admit it. Beginning about 70, I'm now 82. Beginning about 70, I became very sensitive to H. pylori. Every time I went out to eat Mexican, four times I got it in 10 years and each time I had PACs, lots of PACs. Over those 10 years, Holter monitor, everything is proven, but cardiologists don't know about it except it is in the Italian literature to some extent. [01:20:00] Then one night I had terrific stomach pain from a bad food I ate at a Chinese restaurant and I went to the gym anyway the next day, worked out a little bit, not much, developed real atrial fib. With the atrial fib they said okay, of course you're on anticoagulant the rest of your life. It went away in about eight hours; normal sinus rhythm ever since. More recently I went into atrial flutter, which is persistent. I had a stomach bug, not H. pylori this time, different stomach bug; it lasted two and half months. I saw a gastroenterologist, I took Xopenex and this new antibiotic to kill off E. coli. Then I went to my own, Augmentin, took that. Each time I get rid of the bug, it comes back in about five days, was normal sinus rhythm. So I would be atrial flutter, normal sinus rhythm for a few days, atrial flutter when it comes back, normal sinus rhythm. [01:21:00] I finally polished it off with Pepto-Bismol and that was about four days and the bug was probably weakened. Pepto-Bismol did the trick and I got rid of it, but normal sinus rhythm didn't come back. So now I'm in persistent atrial flutter – I'll talk to you later about it. But if there's anybody in the room that's gotten PACs from H. pylori or has any connection with stomach and these heart arrhythmias, it would be interesting because I go to a single cardiologist in Shreveport, Louisiana or another cardiologist. Most of them know nothing about it, but this is a large audience. That's the reason I brought it up. Thank you. [01:22:00] Dr. Wilber: Thank you. Just to sort of restate what you asked, I think it's a good general question. It's what's the relationship between esophageal and gastric irritation, for example, and atrial fibrillation, and particularly is there a risk of infection in the G.I. system if there is or H. pylori has been linked to ulcers and atrial fibrillation? I think those are the things, Mark or Susan, any comments? Dr. Link: Yeah. I actually have a number of patients that have this direct link. They get stomach upset of any ilk and they go into afib and I can think of a dozen people. They can tell me that if they have a stomach upset they say oh, I'm going to have afib. I think there's a very close link between the stomach and the heart and then the vagal nerves, the sympathetic nerves they are all tied in together down there. [01:23:00] Male2: I'll make this really quick, I know we're running short of time here. This is an exercise question, it's kind of two fold. I've been dealing with afib for about 10 years, I'm a regular exerciser, elliptical, walking, three plus miles an hour, weight training and such. I was on sotalol and I couldn't ever get my heart rate over 90; it was a problem and it's very frustrating. I guess this is all going to tie into what else I'm going to bring up. Unfortunately, I'm in a flutter right now. I've had three ablations, now I've got a flutter problem and actually I'm in flutter as we speak and I'm going to see the doctor on Monday, maybe get a cardioversion next week. The main question is how much exercise can you really do safely while you're in a flutter situation? I never get a straight answer from my EP on how much exercise, don't do any or how moderate or I'll leave it at that. Thank you. [01:24:00] Dr. Wilber: I think there're a lot of answers to that. I think the main problem with flutter, as you probably noticed when you're in it, it's much harder to control the rate. Unlike atrial fibrillation, where it's relatively easy to control the rate even during exercise, flutter tends to conduct kind of in ratios. The flutter rate in the atrium is often 300 and in some proportion of that, it's often 70 beats a minute at rest, but with just a little bit of exercise it will suddenly double or even go one to one as your heart rate goes very fast. I think that's a real problem because then it's a matter of even trying to take drugs to slow the rate during flutter is much harder than it is during fibrillation. It's much easier to control the rate in general during exercise and so we often run into this. It's much easier to restore sinus rhythm sometimes than to... there are people that have slow enough conduction in the AV node so that even during exercise, they don't go too fast; but in general, it's hard to control rates, the ventricular response, during flutter and exercise and so I think you're just more limited. Mark. [01:25:00] Dr. Link: The other side of the question is that it's not dangerous to exercise if you're in afib or flutter as long as the heart rates are controlled. The danger would be if your heart rate exceeds what would be 85% or 100% expected for your age, which is basically 220 minus your age. So yes, for a 70-year-old that... I'm not saying you're 70, it could be 50, let's use 50, 50-year-old that should get to a heart rate, a100% heart rate is 170. If they exercise and they're in afib and the heart rate goes to 220, yeah, that's a problem. Male: I started amiodarone I'll be in the second week loading and I did exercise but with the amiodarone my heart rate got up 120 without too much effort and it seemed to stay there pretty steadily but anyway, so thank you. Dr. Wilber: So Mellanie I think we're running out of time. [01:26:00] Mellanie: Yeah, we're right at 10 o'clock. So I've had a couple of questions come in. So let me ask you, are you okay with us going another five to seven minutes to get answers from the doctors? Everybody's good? Okay, great. So with your permission, Dr. Link to follow up to the question that you just answered, someone asked, you said that afib doesn't hurt the heart muscle if the rate is controlled and then he wants to know if this is so, why is long time afib irreversible? Dr. Link: So afib is not only a result of what's happened in the heart, it also causes things to happen in the heart. So with long-time afib, what happens with the left atrium, which is really where the money is in afib, the left atrium scars, dilates and anytime the left atrium scars and dilates, it's going to be more and more difficult to maintain sinus rhythm. That's the issue with chronic afib and there's this famous story "afib begets afib," which means the more afib you have, the more afib you're going to have. [01:27:00] Mellanie: Okay, great. Any other comments on that? Dr. Wilber: Yeah, it's a complex story about that. One of the things about the afib begets afib is that it has to be a lot of afib. In other words, the afib doesn't encourage more afib until you're in afib most of the time. I think that's important because that's something we've only recognized recently and people thought it was enough once you had a few episodes of atrial fib, somehow that would cause more and that sort of doesn't work only until you have like 80 or 90% of atrial fib to begin with. I think it's this other sort of more recent realization is that this fibrosis that we've talked about is probably caused not by atrial fib but by all these other risk factors. It's really not until you're in afib most of the time, that just being in atrial fib by itself is enough to encourage more of it. [01:28:00] I think it's this whole realization that all of these risk factors that we've kind of just had on the periphery, didn't pay much attention to, how really central they are to the disease process and in fact, it's a process that's probably ongoing for a decade or more before you first manifest atrial fib. Because the other thing we've seen is when people have their first episode of atrial fib and they're studied in detail, they already have an abnormal atrium that's scarred and by a variety of evidence, is already not healthy. Clearly this is a disease that starts even before... and again, I keep making the link to coronary artery disease because I think it's real and I think as electrophysiologists, we're just beginning to sort of understand this. Mellanie: Why don't we let this lady ask her question and then I'll ask the last of the questions that have come in. [01:29:00] Female2: Good. I have a question about exercise and weight. I am in persistent atrial fib in the 60s to 90s on flecainide, metoprolol and now lisinopril. My problem is, I used to know, when my rate was always 60 to 70, how much to exercise. I would get my heart rate up to a certain point. I don't know now because my heart rate goes anywhere from 60 to 110. Is there a recommendation, get it up 20% from maybe where I start or what are your thoughts on that? Dr. Link: So the question is, what to do with heart rate, afib, and exercise. Dr. Link: So when you're in afib and when you're on cardiac meds, you can't use the accepted dogma about heart rate response. Because the accepted dogma is you increase your heart rate up to 85%, you maintain that for 20 minutes and that's exercise. That's out the window if you have afib and you're on meds because it completely screws that up. [01:30:00] What I tell my patients is a couple things to answer this question. One, is the perceived exertion — if you think of what's a 100% flat out for you exercising, you should not be there, you should be at 80%. All of us can estimate what 100% flat out is; don't go there, go to 80%. And the other thing that I frequently do in patients, if they really don't know how fast their heart rate is going during exercise, you can't really use pulse either because if it's very rapid, you're not going to feel every pulse. It's often useful to put that person on a treadmill and just see what their maximum heart rate is during exercise. Just to make sure that [01:30:30] it's safe to go out and exercise, and it probably in all likelihood is, but sometimes you don't feel those heart rates of 200, 220 for some patients and you need to know. Dr. Wilber: ...yeah, that actually can look at your EKG because any other attempt to count it any other way, including your taking your own pulse, just isn't accurate and can be misleading, both either too fast or too slow. Mellanie: Okay, great and then the last question is what is the role of a pacemaker in the control of afib? Dr. Link: Yeah. We get this question a lot and I think it's important to recognize that a pacemaker is only good for slow heart rates. It does nothing for fast heart rates. It's sort of independent of afib. [01:32:00] If you have afib and you have a slow heart rate and that slow heart rate is causing symptoms, by all means you need a pacemaker. But if you have afib and you don't have a slow heart rate, and in fact usually the problem with afib is fast heart rates, then a pacemaker is going to be of no benefit. A pacemaker is only good for slow heart rates, whether they're in afib or sinus. Now it's quite common that people with afib also have problems with slow heart rates. It's not an uncommon thing that we see that people need pacemakers, but again, it's not because of the afib, it's because of a slow heart rate.